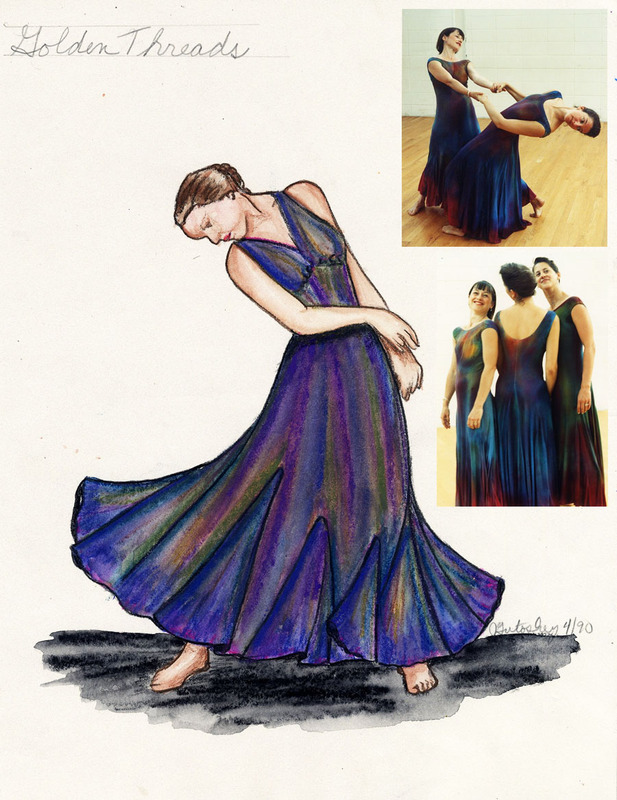 This gallery contains sketches and photographs of the costumes that I designed for theater and dance productions during the late 1980’s and 1990’s. My costume designs for "Marat/Sade" at the University of Michigan's Power Center Ann Arbor, Michigan 1991. My costume designs for "A Midsummer Night's Dream" at the University of Michigan's Power Center Ann Arbor, Michigan 1988. 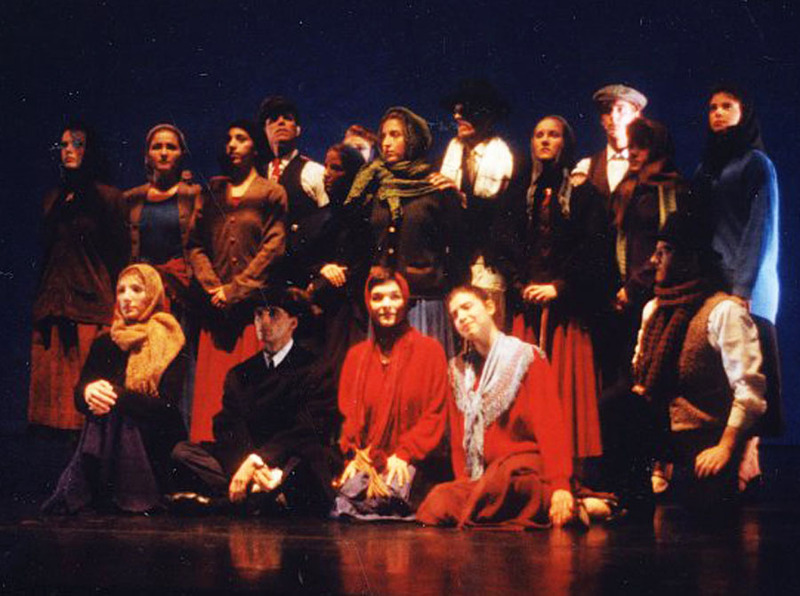 My costume designs for "The Inspector General" at University of Michigan's Mendelssohn Theater Ann Arbor, Michigan 1990. The Polaroids are of the prosthetic make-up I designed for each character. My costume designs for "Present Laughter" at the University of Michigan's Power Center Ann Arbor, Michigan 1989. My costume designs and costume construction for "The Nightingale" for Wild Swan Theater Ann Arbor, Michigan 1990. My costume designs and costume construction for for Janet Lilly's "Storybook" at the Michigan Theater Ann Arbor, Michigan 1992. 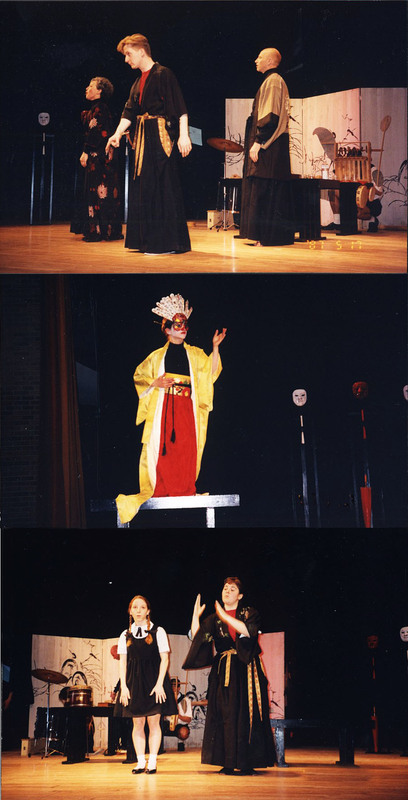 My costume designs, masks, and costume construction for "A Thousand Cranes" for Wild Swan Theater Ann Arbor, Michigan 1992. My costume designs, costume construction, and graffiti cubes for "Pinocchio" for Wild Swan Theater Ann Arbor, Michigan 1993. Costume sketches for "The Abduction at the Seraglio" 1992. My costume designs for Bill DeYoung's dance, "Clarinet Concerto", at the University of Michigan's Power Center Ann Arbor, Michigan 1992. I hand dyed 14 of these rayon knit dresses. My costume design and construction for Peter Sparling's solo dance, "Don't Worry 'Bout Me" at the University of Michigan's Studio A 1991. My costume designs for Linda Sprigg's dance, "Duo Fantasy", at the University of Michigan's Power Center Ann Arbor, Michigan 1992. I hand dyed the fabric for 9 of these cut-out unitards. I made the head dresses with colored synthetic hair. 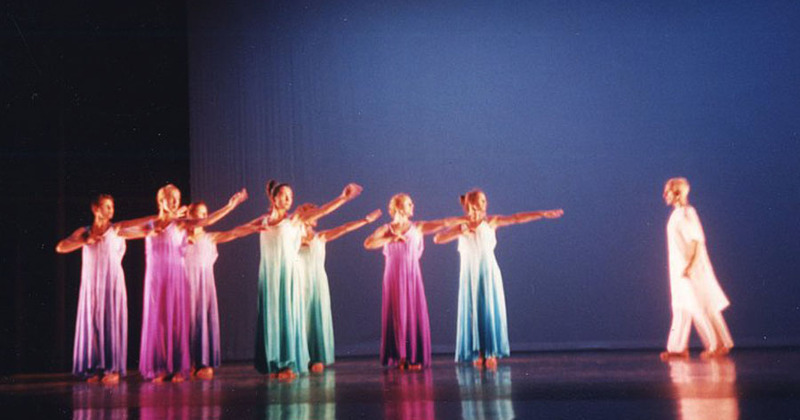 My costume designs for Mary Fehrenbach's dance,"Golden Threads", at the University of Michigan's Power Center Ann Arbor, Michigan 1990. I hand dyed 5 of these rayon knit dresses. 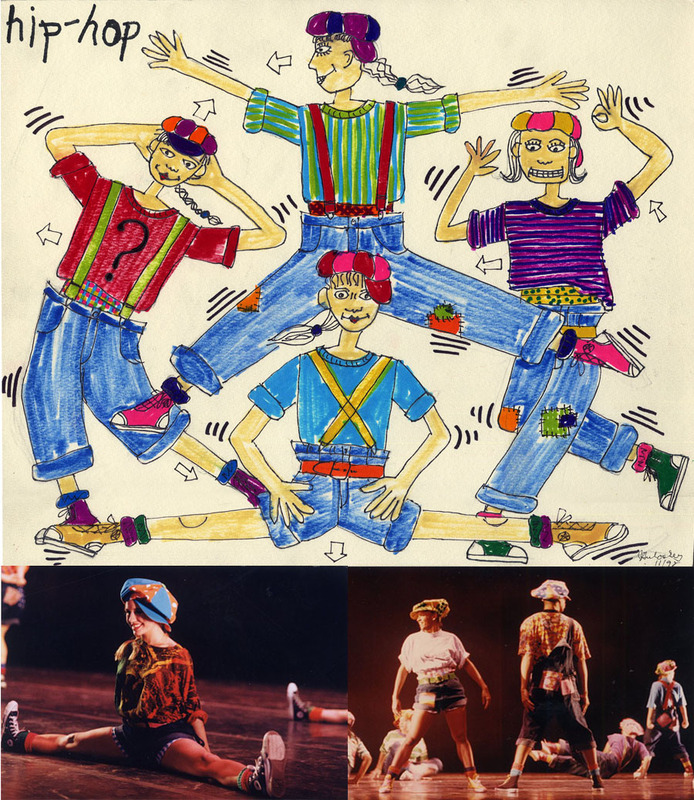 My costume designs for Renee Mueller's dance, "Hip-Hop", at the University of Michigan's Power Center Ann Arbor, Michigan 1993. 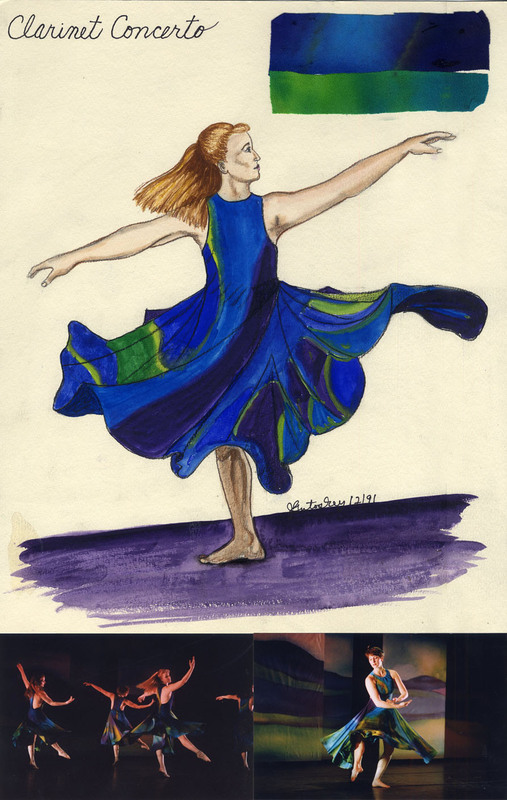 My costume designs for Janet Lilly's dance, "Sidhe", at the University of Michigan's Power Center Ann Arbor, Michigan 1993. My costume designs for Gina Buntz's dance, "Inherent Terrain", at the University of Michigan's Power Center Ann Arbor, Michigan 1993. I batiked 45 yards of spandex in 15 different patterns which was then made into 15 sarong/leotards. 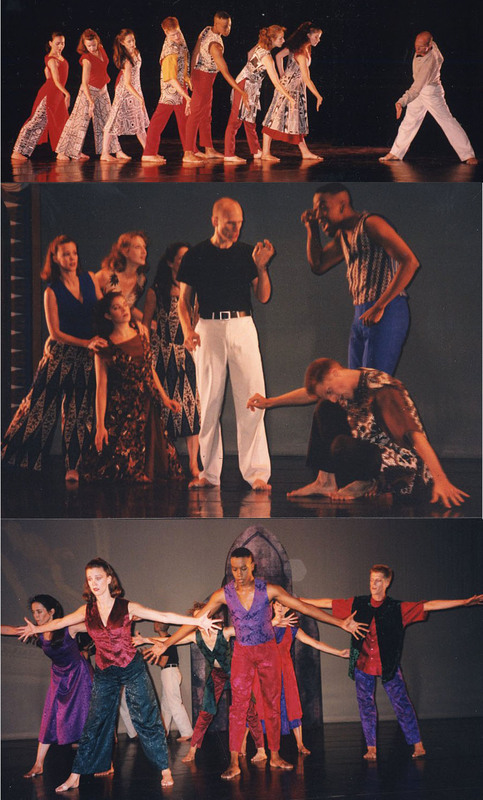 My costume designs for Peter Sparling's dance, "The Four Seasons", at the University of Michigan's Power Center Ann Arbor, Michigan 1996. My costume designs, costume construction, and quilt for Peter Sparling's dance, "The Bride of Grand Prairie", at Performance Network Ann Arbor, Michigan 1992. My costume designs representing Australia, Indonesia, and Italy for Peter Sparling's dance, "Travelogue", at the University of Michigan's Power Center Ann Arbor, Michigan 1994. 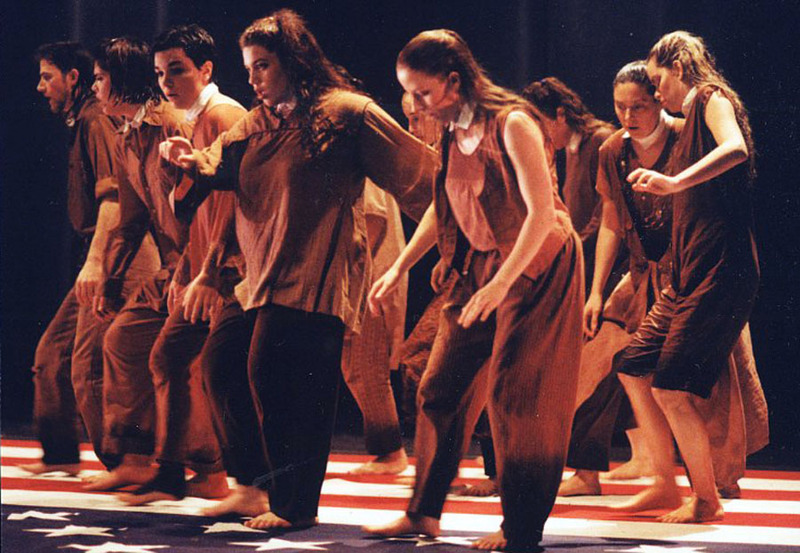 My costume designs for Ann Carlson's dance, "Flag", at the University of Michigan's Power Center Ann Arbor, Michigan 1993. 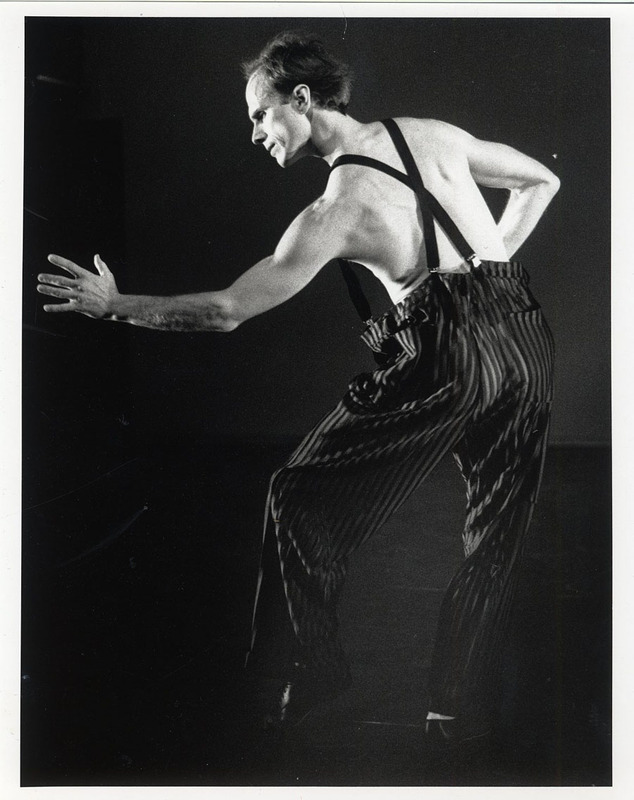 My costume design and construction for Peter Sparling's dance, "Jealousy", at Performance Network Ann Arbor, Michigan 1992. 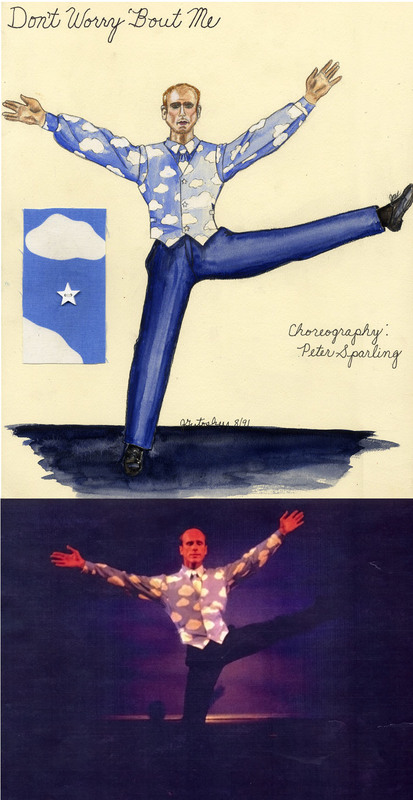 My costume designs for Peter Sparling's dance, "Johnny Angel", at the University of Michigan's Power Center Ann Arbor, Michigan 1993. I hand dyed the dresses using an ombre technique. 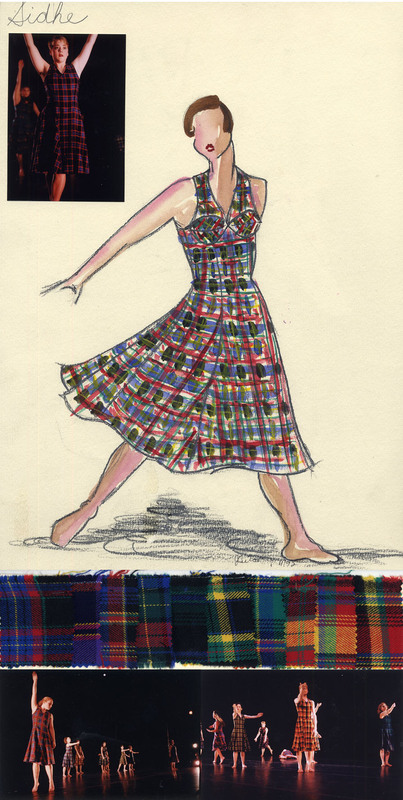 My costume designs for Jessica Fogel's dance, "Dance for 18", at the University of Michigan's Power Center Ann Arbor, Michigan 1993. My costume design and costume construction for Peter Sparling's dance, "The Boy who Played With Dolls", at the University of Michigan's Studio A, Ann Arbor, Michigan 1992.